This is a simple, powerful and hopeful story that provides an inside view into Nigeria and Africa. Chike and the River (originally published in South Africa by Cambridge University Press in 1966) tells the tale of a young man who leaves his small village of Umuofia to live with his uncle in the “big city” of Onitsha. 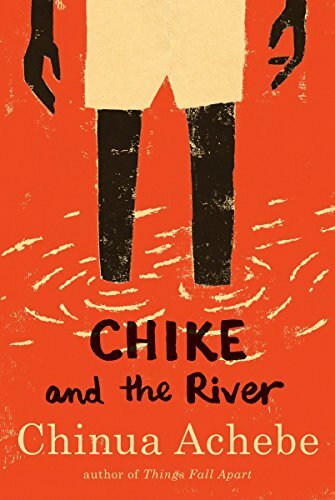 In Chike and the River, young readers get an intimate look at African life, learn about the Niger River, and connect with Chike as if he is their own brother. Before Chike leaves for the city, his mother (head of a single-parent household that includes two sisters and Chike) gives him the same advice given by parents around the world about how to be safe and how to act with others. The fact that he misses her greatly in the beginning, but soon gets lost in his new environment and its ways, gives more credence and reality to the transitions in his life, from small village to big city and from a young boy to a young man. Chike’s burgeoning excitement about living in a city is dampened by the reality of having countless numbers of families packed into every room and only two latrines in their yard for fifty people. He also feels a greater sense of isolation with folks not knowing their neighbors. On the other hand, he greatly revels in more sights, activities, and many new friends at school. Once he gets settled in his new school and develops a friendship with another student named Samuel (known as S.M.O.G), Chike becomes increasingly fascinated with the ferries crossing the Niger River to Asaba and is determined to raise enough money to pay for his crossing. How he gets the money for the journey and what he discovers about friendship, honesty, and skalywags, round out the majority of this delightful tale of learning what is right and honorable. As Chike becomes increasingly focused on getting the money for the ferry, the author writes, “Chike was so anxious to find the money for his trip across the river that he very nearly went into bad ways.” Those bad ways involve a classmate named Ezekiel (called Tough Kid), who almost gets Chike involved in a major scam with a “Money-Doubler” named Professor Chandus, who promises to solve all of Chike’s money woes. The brilliance of Mr. Achebe’s prose is his ability to make a reader feel like an omniscient sprite on Chike’s shoulder: along for the ride and privy to all that he senses and sees. The actions and reactions of the characters are spot on and sympathetic. There are people who do bad things and those who do good. How Chike finds his way and his own moral compass, while also attempting to fulfill his desires and dreams, is well grounded in the great morality plays of past and present. Grab your atlas (or electronic device) and your son or daughter and read Chike and the River together. It is well worth your time and attention.